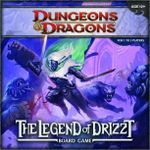 Choosing a dungeon crawler... help me decide. Ok... so my wife and I have been looking at a few dungeon crawlers. 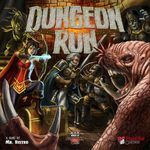 We currently have Super Dungeon Explore, but we're looking for something a little more involved and thematic, and something co-op or semi co-op (i.e. a crawler without a DM). Something very thematic with great scenarios... this is what we're most wanting out of the game. Co-op or semi co-op (no DM). Something fairly intense (plays around 90 minutes to 3 hours). We like the idea of being able to level up our characters, potentially campaign based (not essential though). 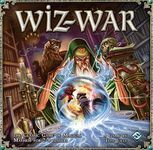 Great artwork/visually appealing (if the board art isn't great but it has fun mini's, that still works ok for us). Edit: Forgot to mention... please feel free to suggest other games... preferably dungeon crawlers, but other games may be ok if they closely fit the criteria mentioned above (i.e. hits all the points but isn't a crawler). 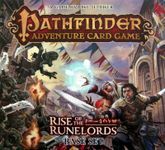 We like the idea of the campaigns and love the idea of getting involved in the D&D world, but we've seen that this game is a little bit "love it or hate it" and as a result, we have our doubts... but still really like the idea of it. A few people have said that this game isn't as immersive as a D&D RPG. That may not be so much of an issue for us as we've never had the opportunity to get involved in an RPG (although we'd love to). We've also heard that you don't really get much choice in your decisions. We like the look of this one as it is both co-op and semi co-op. Some have said that this is a good intro to the D&D world, but may be a little too light. We like the different elements this crawler brings in, but worry that the scenarios might not be immersive enough. It also lacks the campaigns that Wrath of Ashardalon has. We like that it's so thematic... the story/synopsis really grabs us (as do the minis and artwork). We are wondering if this might be a little too light. Will the theme grab us so much that we won't worry about it not being so challenging though? So, obviously this isn't a dungeon crawler... but would it scratch the itch? My wife likes the visual side of gaming a well as the thematic stuff... so seeing as this doesn't have a board or minis, would this be a drawback? Also, we've not really explored deck builders or hand management games (except for Seasons... we bought that recently and both enjoy it). Be Happy in your Game! I spent 100 Geek Gold and all I got was this lousy overtext message! Theme: It has a fantasy theme, though it is light on the story. In fact, I would say the narrative is non-existent. If you're looking for a story in this game, you will only find some flavor text in the rulebook. The true focus of the game is to provide a challenge/puzzle for you to optimize in versus telling a story. Co-op: It has several cooperative campaign scenarios but each scenario plays out randomly with tile and monster placement anyway. Mage Knight benefits from a modular board and lots of official variant rules. There is no DM needed, just a dummy player for cooperative scenarios to keep the pace going. Intensity: Definitely plays in 2-4 hours, including setup. 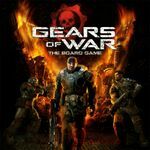 This game requires a lot of strategy and tactics in terms of hand management and overall planning. Each turn and card played has an impact on your progress and ultimately impacts how well you do. Leveling: No campaign mode but the leveling of your Mage Knight is keenly present in this game because your decisions greatly affect whether your Mage Knight gets stronger or gets bogged down each turn. Artwork: The minis are prepainted but of low quality material when compared to miniature games, but for a board-game-level, they are great. The art on the board and cards are evocative of the fantasy theme and the quality of components is stellar, even though the monsters are represented by circular chits. Plays in 1 hour to 2 hours (depending on mission taken). This is a pretty good sci-fi dungeon-crawler with a very good AI system that's both unpredictable without being completely random. Characters don't level up though and there's no campaign play. This is a fun one, easy to learn and quick to play. It's semi-coop (or fully coop, if you choose to omit the endgame stage, as I often do with less than 4 players). There's no campaign mode, but significant leveling and skills/equipment acquisition throughout the game, so you really feel like you're building a character. Due to how easy it is to learn, this is also the dungeon crawl I pull out for casual gamers and/or non-gamers. 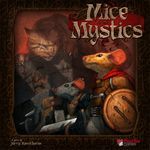 Having said that, if I had to choose between Dungeon Run and Mice & Mystics, Mice & Mystics wins hands down... but I find they scratch slightly different itches (Dungeon Run is aptly named, as it's a fast hack and slash, whereas Mice & Mystics has that immersive feel), so I am glad to own both. 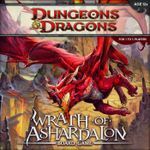 I also own Wrath of Ashardalon, and to be honest, it's hit the table a grand total of four or five times. I love the minis and I love the idea, but the actual effect of the game for me is as if all the fun bits of D&D or dungeoncrawling have been completely stripped out, leaving one long set of basic-but-endless math as I stare at a very grey board. Roll die, add modifier. Roll die, add modifier. Roll die, add modifier. Flip card. Roll die, add modifier. Roll die, add modifier. Etc. I'm sure it's lots of fun with the right group (which is why I haven't traded it yet - I've caught glimpses of what can happen when someone gets really into it) but for me, it's one of those games that I don't find *inherently* enjoyable.